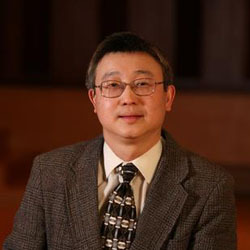 Eric Lai is Professor of Music Theory at Baylor University, and holds degrees from the Royal Scottish Academy of Music and Drama (Dip. RSAMD) and Indiana University (MM, PhD). Before coming to Baylor, he taught at Indiana University and Hong Kong Baptist University, and was a Visiting Scholar at the University of Wisconsin-Eau Claire. Lai was a former editor of Indiana Theory Review, and currently serves on the Executive Board of the Texas Society for Music Theory and the Board of Directors of the Bruckner Society of America. He has presented papers at international and national meetings of music theory, musicology, and ethnomusicology, and his writings have appeared in Perspectives of New Music, Music Theory Spectrum, MLA NOTES, Asian Music, Association for Chinese Music Research Reports, CHIME, Newsletter of the Institute for Studies in American Music, and Mitteilungen der Paul Sacher Stiftung. His book, The Music of Chou Wen-chung, was released in 2009 by Ashgate Publishing. Other publications include "Pipa Artists and Their Music in Late Ming China" (Ming Studies 58, 2008), "Musical Brushstrokes: Calligraphy and Texture in Chou Wen-chung’s Music" (in Polycultural Synthesis in the Music of Chou Wen-chung, ed. Mary Arlin and Mark Radice, Routledge, 2018), and "The Formal Ramifications of Bruckner’s Bipartite Sonata Form," (Music Analysis, 2018).